The wait is over – we reveal the winners of our prestigious Photographer of the Year awards for 2019. Marco Tagliarino, who topped the adult Travel category for his 'Gambling in Jianshui' image, is Digital Camera's Photographer of the Year 2019. The collection of images he submitted for the competition demonstrated a "unique style" with a facility for "intimate" images. For entrants under 24 years old, Heidi Cohen from London was crowned Young Photographer of the Year for submissions including her two category wins, for Urban Landscape and Black & White. Her "great eye" and strong portfolio came in for particular praise. Digital Camera's annual photography competition is one of the most prestigious in the industry, and is hosted on leading photo competitions site Photocrowd. Photographer of the Year is sponsored by MPB.com, and the winners receive a prize pot worth over £7,100 from MPB and our awards partners Rohan, Sony, Rotolight and CEWE. 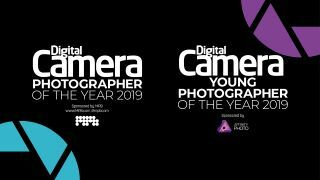 Young Photographer of the Year is sponsored by Affinity Photo, and the winners receive a prize pot worth over £6,600 from Affinity Photo and our awards partners Rohan, Sony, Rotolight and CEWE. We were delighted to welcome Marco to Birmingham for the ceremony, having flown in specially from Milan in Italy. “I’m really proud of this important award," he said. "This is certainly the biggest result I've achieved so far. Unfortunately Heidi was unable to join us for the ceremony – she's currently on an internship in Malaysia – but father Adam and sister Clara made the trip up from London on her behalf. As for the next stage in his photographic journey, Marco recently became a father so will put his exotic travel plans on hold whilst the baby is still small. Saying that, however, he reveals that in 2019 he plans to visit Japan, New York, Turkey and hopefully make it to the far east next Christmas to continue his passion. When we asked Heidi about the future and where her photography may take her next, she is yet to decide. “My internship lasts for six months and for now I’m just trying out all different aspects of photography and filmmaking to get an idea as to what career I would like to pursue in the future,” she says. Click here to view all the category winning entries for Photographer of the Year 2019 and Young Photographer of the Year 2019. Keep an eye on Digital Camera World and Photocrowd for details of next year's competition. We will be releasing details in due course.